Why Might I Need a Buddy Statement for My VA Disability Claim? Injuries that occur during your service in the military can impact your ability to function for the rest of your life. You may have decided to file an application for veterans disability compensation for your service-related injury. However, you may find that your medical records are missing, incomplete, or do not properly document your injuries or the incidents that relate to your impairments. “Buddy Statements” can be an excellent way to verify and provide support to your disability claim. What Is a “Buddy Statement”? A “Buddy Statement” is exactly what it sounds like – a statement from one of your fellow service members, a spouse, or other family members that can help connect your injury to your service, provide insight into your behaviors and abilities before and after the injury or incident, and confirm dates, locations, and stressful events. Buddy statements from your fellow service members are extremely helpful and should be written by the people that were with you when the injury or incident happened. These individuals can provide insight into lengthy periods of combat, difficult incidents (fellow soldiers wounded or killed, explosions, etc. ), working conditions, and equipment used. Buddy statements can also be written by your family and friends. These letters are helpful because they can shed light on your current situation and how your impairments are affecting your life and (potentially) the lives of your family today. Often, without the information provided by a buddy statement, it is difficult to prove that conditions like Post-Traumatic Stress Disorder (PTSD) and Traumatic Brain Injuries (TBI) are connected to your service in the military. Another common use is to prove exposure to Agent Orange for veterans that may not have served in the presumed areas, but still handled materials that were exposed to the dangerous chemicals. How Do I Get a “Buddy Statement”? If you have remained in contact with other service members, you can begin the process by asking them if they would be willing to write a statement. If you have not remained in contact with your fellow soldiers, it may be a little more difficult to track someone down. Your local veterans service organization can provide you with some resources and suggestions for locating other veterans, including searching the internet, your local library, etc. If your entire claim is dependent on verification or input from another veteran, The National Personnel Records Center may be able to forward information to the veteran that you are searching for. The statement can be written or typed on standard paper or on Form 21-4138 (Statement in Support). If the statement is not on a Form 4138, please include the following language at the bottom of the statement just above the signature “I certify that the statements on this form are true and correct to the best of my knowledge and belief.” All Buddy Statements should be signed and include address and phone number of the “Buddy”. It is a good idea to have your veterans service officer (VSO) review the statement before submission to make sure that it is complete and provides the -information necessary to support your claim. 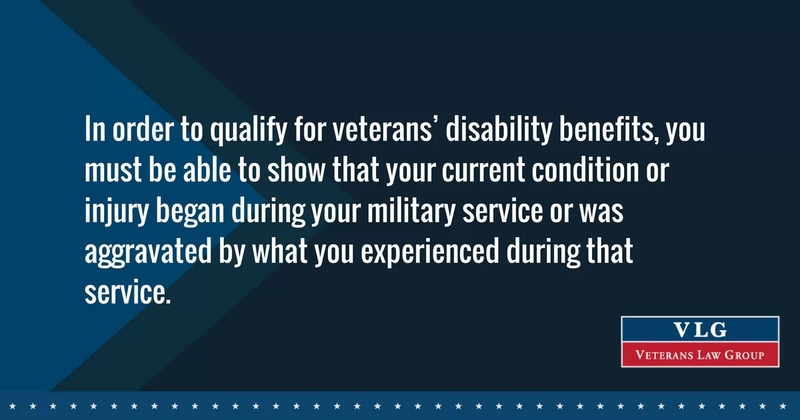 The VA disability benefits claims process can be lengthy, overwhelming, and frustrating, but finding answers to your disability claims questions doesn’t have to be difficult. Take our free quiz today to determine what resources are available for your specific needs.